Each local authority is required to carry out reviews of the Polling Districts and Polling Places in its area. The Electoral Registration and Administration Act 2013 changed the timing of these reviews and the next review must be held between 1st October 2018 and 31st January 2020 with subsequent reviews held within a 16 month period, starting on 1st October every fifth year after the 1st October 2018. A Council’s area is divided into polling districts; one or more polling districts can make up a ward. A polling place is an area or building within a polling district in which a polling station is situated. The suitability of polling stations is assessed along with their accessibility, facilities for voters and, in particular, for those with a disability. Amongst those being consulted are the Acting Returning Officer, Parish Councillors, Ward Councillors, County Councillors, Local political associations, Local Members of Parliament, Members of the South East Region of the European Parliament, The Police & Crime Commissioner for Kent, Disability Groups, but everyone can comment on their area or make suggestions if they wish. The final proposals if approved will be available to view on the Council’s website, at The Link and at the Town Hall, Maidstone. 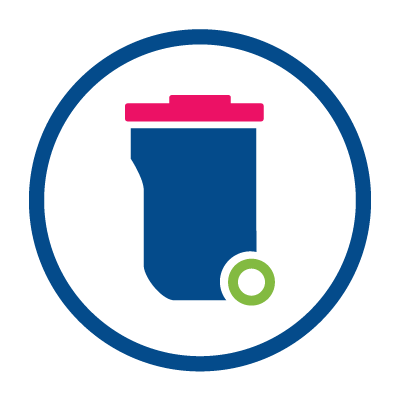 Please note part of the Parliamentary Constituencies that fall within the local authority administrative area of Tunbridge Wells Borough Council and Swale Borough Council are not detailed on the tables published on this Council’s website. Please visit the Tunbridge Wells website or visit the Swale Borough Council website. Read the full notice of review of polling districts and polling places. The information in the tables below sets out the timescales of events through out the Consultation review period. If you are unable to read this information please contact electoralservices@maidstone.gov.uk. June 2019 will be a free month where no consultation events will run. 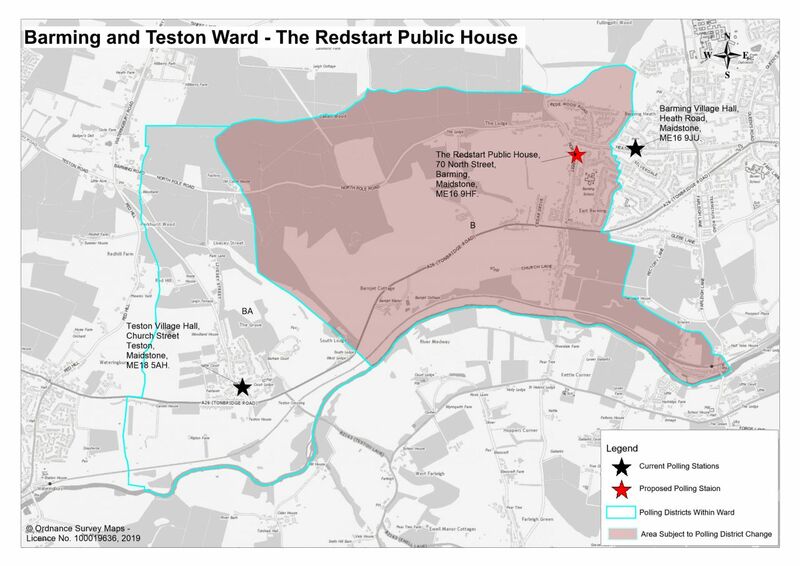 The following map outlines the ward boundary for Barming and Teston and displays the current and proposed polling station station locations. 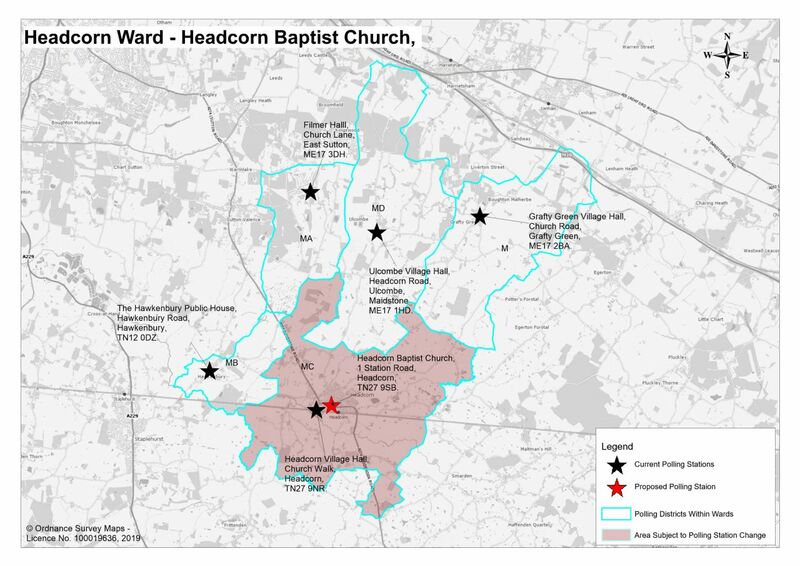 The following map outlines the ward boundary for Headcorn and displays the current and proposed polling station station locations. 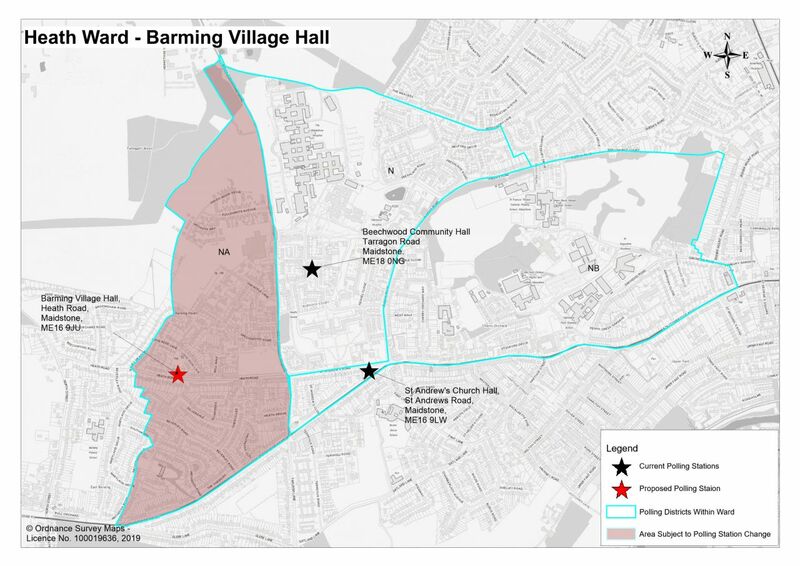 The following map outlines the ward boundary for Heath and displays the current and proposed polling station station locations. 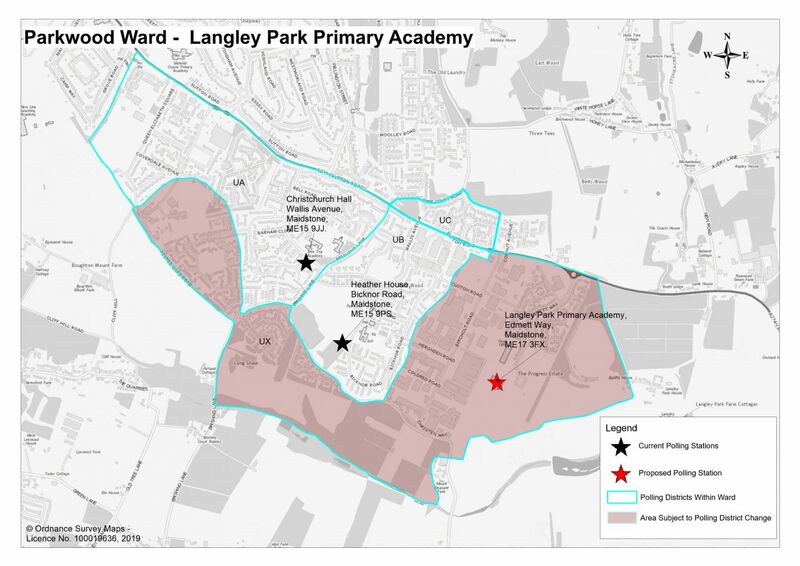 The following map outlines the ward boundary for Parkwood displays the current and proposed polling station station locations. 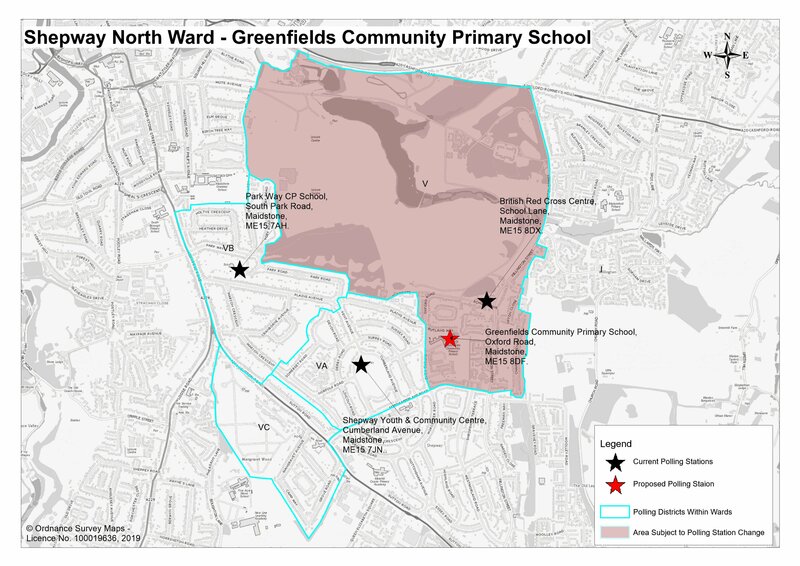 The following map outlines the ward boundary for South and displays the current and proposed polling station station locations. 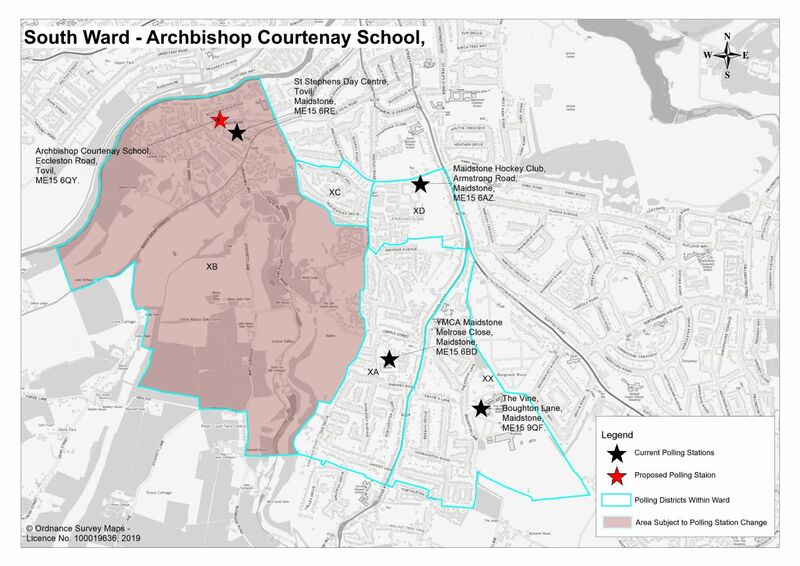 The following map outlines the ward boundary for Shepway North and displays the current and proposed polling station station locations. Have your say by completing our online survey.